Dr. John Kenagy knows healthcare as a physician, executive, academic researcher and advisor. In addition to his clinical experience as a vascular surgeon, he has been Chief of Surgery, Chief of Staff and Regional Vice President for Business Development in a not-for-profit healthcare system. But, his most meaningful experience was becoming a patient. His frustration with current healthcare methods was fueled by an injury - he suffered a broken neck in a fall from a tree. Critically injured, he discovered that his recovery depended on the efforts of dedicated individuals working in an unpredictable and often unresponsive system. Searching for new answers, he became a Visiting Scholar at Harvard Business School. His research included developing adaptive innovation healthcare strategy with Harvard Professor Clayton Christensen and translating the drivers of success in resilient, highly adaptive companies like Toyota, Intel and Apple to the point of care. The result is Adaptive Design, a self-sustaining clinically intelligent system for developing, doing and improving complex, patient-centered care within and across disciplines. Forbes Magazine featured Dr. Kenagy as "the man who would save healthcare"
Dr. Kenagy's web-based Experience Adaptive Design Learning System and his customized Adaptive Design Lean Leadership Learning System develop an organization's people and resources to create more access to better, safer care at continually lower costs. The success of his work proves that healthcare's most important assets are the knowledge and creativity of our people and our patients. Quality is not a department and improvement is not a project; they are everyone's work, every day. Adaptive Design makes it possible. Value-Based Care: Delivering on the Promise - The Promise is more access to better safe care, all at continually lower cost. The good news is most healthcare organizations are already positioned to deliver on the Promise. Three simple, low risk, high reward steps will create a Center of Value and Excellence (CoVE) that will generate more access to better, safer care at continually lower cost in 3-4 months. Once you create a CoVE, you simply replicate and scale what you now know how to do. It's not rocket science; it's the science of adaption. Physicians, staff and management partner to meet patient needs ideally when everyone in your organization can work at the "top of their license." For example, our data show nurses, on average, spend less than 30% of their time in direct patient care. Management, staff and physicians can partner and use Adaptive Design to eliminate the hurdles and barriers that pull everyone away from patients. It's a low risk, high reward opportunity to create a world-class patient experience and continually lower the cost of care. Healthcare organizations are, by nature, complex, constantly changing and unpredictable. Using conventional data to manage a complex organization is like driving your car by looking at your rear-view mirror. Creating a Sense/Respond/Adapt capability is a simple, safe approach to managing the unpredictable in real-time. It's action innovation - do it, improve it, then replicate and scale it. The results are more care for less cost and new predictive analytics that can be generated by any healthcare organization. Adaptive Design is an integrated set of methods, skills and tools that make everyone accountable for patient-centered, care and improvement as part of their everyday work. Unlike Lean, Six Sigma, PDSA and other project-based, process reengineering methods, Adaptive Design is a self-sustaining system for designing, doing and improving complex work within and across disciplines. It is a low risk, high reward way to create horizontal integration across the silos, both inside and outside your organization. It is a simple, safe, value-based Operating System for 21st Century healthcare. You don't implement a great culture; you make it. This presentation taps into the latest research in human decision-making and the success characteristics of innovative, resilient, highly adaptive companies. Leaders from the C-suite to the frontline will learn how to use Purpose, Prototypes, Progress, Momentum and Mastery to create a world-class culture designed to adapt to meet the value-based care needs of 21st Century healthcare. Being a Center of Excellence is good; but CoE is a product of the 20th Century. Centers of Value and Excellence (CoVE's) will predictably lead 21st Century healthcare. The good news is that most organizations already have the resources needed to adapt rapidly to create multiple Centers of Value and Excellence. Developed, aligned and supported by wise leadership, front lines trained in Adaptive Design can quickly design and prototype many small, low risk, high reward changes as part of their everyday work. The results generate more access, to better, safer care at continually lower cost. Adaptive Design Workshop and/or Retreat - The Adaptive Design Leadership "Advance"
This is not a traditional "retreat;" it's an "advance" for governance, leadership, management, physicians and staff that can also include patients and patient advocates. Unlike most retreats, this advance in not full of speeches and PowerPoint slides. Rather it is a highly, interactive, 3-4 hour, customizable, learning experience solving complex, real-life, real-time healthcare and business problems. 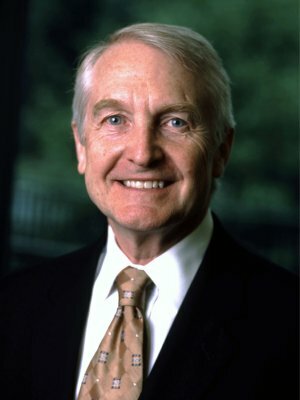 The "Advance" is based on Dr. John Kenagy's research as a Visiting Scholar at Harvard Business School and his experience using Adaptive Design to create Centers of Value and Excellence in healthcare. It is applicable to any complex work environment. For example, Board Members from outside of healthcare will take away learning that applies to their healthcare governance work and their own, non-healthcare businesses. For example, you will learn what it would be like to work for Steve Jobs. You will discover the secrets of disruptive innovation and how Intel's Andy Grove changed Harvard Business School Professor Clayton Christensen's view of disruptive technology. Or you can find out what would happen if Toyota acquired your hospital and what that would mean for Lean and Performance Excellence in your organization. And, all of these experiences are customized to your specific needs and relate directly to how-to-lead in the value-driven world of 21st Century healthcare. The Outcome: your organization will have what you need to thrive - rapid, low risk and high reward. All topics or combinations of topics are customized to meet your needs.